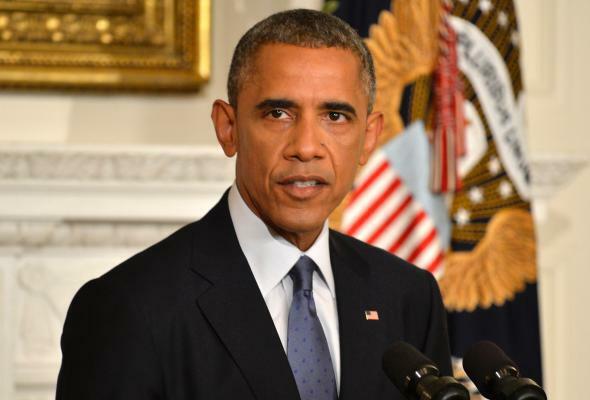 Obama orders hostage policy review. President Obama addresses the nation from the White House on August 7, 2014. After a series of high-profile hostage situations, the U.S. is reviewing its policy on how it deals with American hostages held abroad. President Obama ordered the policy review, according to a letter sent by Undersecretary of Defense Christine Wormuth to Rep. Duncan Hunter (R-Calif.) earlier this month. As a result of the increased frequency of hostage-taking of Americans overseas, and the recognition of the dynamic threat posed by specific terrorist groups, the President recently directed a comprehensive review of the U.S. Government policy on overseas terrorist-related hostage cases, with specific emphasis on examining family engagement, intelligence collection, and diplomatic engagement policies.